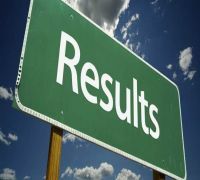 Jammu and Kashmir Board of Secondary Education(JKBOSE) will release the result of Class 12th 2019 exams for summer zone areas in the 4th week of April 2019. Last year, JKBOSE 12th result 2019 was declared on April 25 and the exams were concluded on March 23. This year, the exams were held from March 5 to March 28. This year 12th class exams that were earlier scheduled to be held on February 23 and 26, were rescheduled to March 3rd and 22nd respectively. The board takes approximately one month to declare the result so it is expected that the result may come out in the last week of April 2019. Last year, about 51.77 per cent candidates cleared the examination. The passing percentage of boys was 55% and for girls, it was 59%. Candidates need to enter roll number in the login window and click on ‘View Results’ button. The result will display on the screen. The Jammu and Kashmir State Board of School Education is renowned as the JKBOSE. This is actually a governmental body that is responsible for the development as well as maintenance of Jammu and Kashmir school education. Under the state government administration, this governmental body acts as the autonomous body of education. Apart from this, the JKBOSE also looks after the quality of the education which is provided to the student at a school level through 10,609 affiliated schools in the state. Besides the responsibility of giving quality education, the board also promotes the equality of opportunity by providing the essential facilities. At the same time, the Jammu and Kashmir State Board also conducts annual 10th and 12th Class Exams every year. Actually, they want to shape up the strong basis of higher education for students of Jammu and Kashmir.